Another addon for Minecraft PE 0.17 / 1.0 which adds a new type of mobs. At this time, the bandits will inhabit your world. Each type has unique characteristics, its own skin and different behavior. 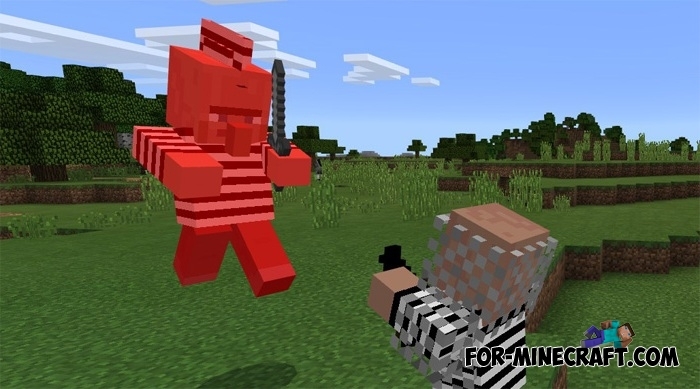 For example, the first type of robbers is aggressive towards all beings, the second type will protect all living creatures attacking other mobs, the third type will only attack the player. In addition to the bandits you get a new gun instead of a bow. 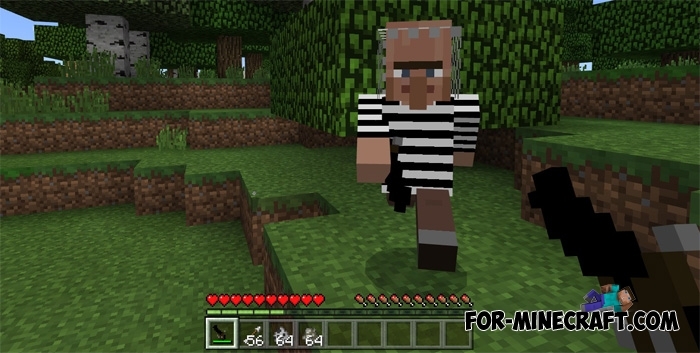 Cops and Robbers 3: Escape from Alcatraz map for Minecraft PE 0.11.0The legendary multiplayer map returns to the pocket edition!